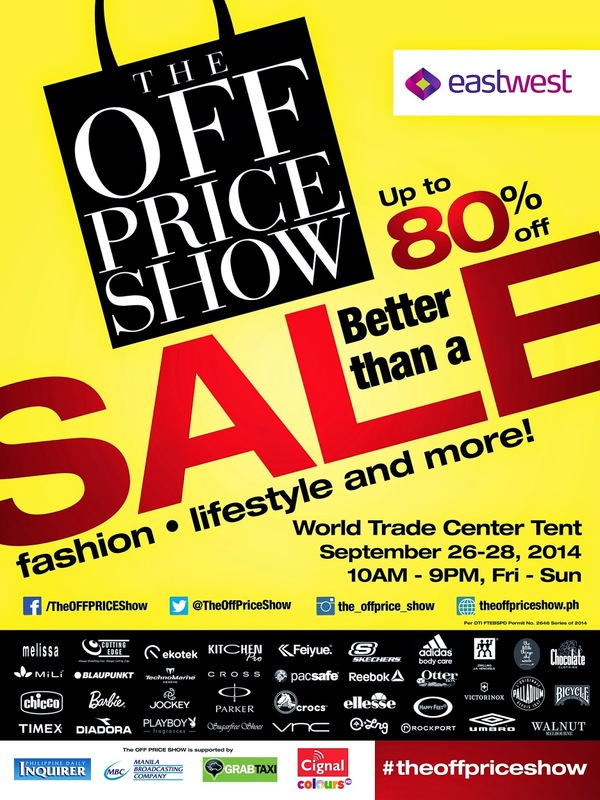 The Off Price Show 2014 Fashion Bazaar! - Ticket Giveaway - Hello! Welcome to my blog! 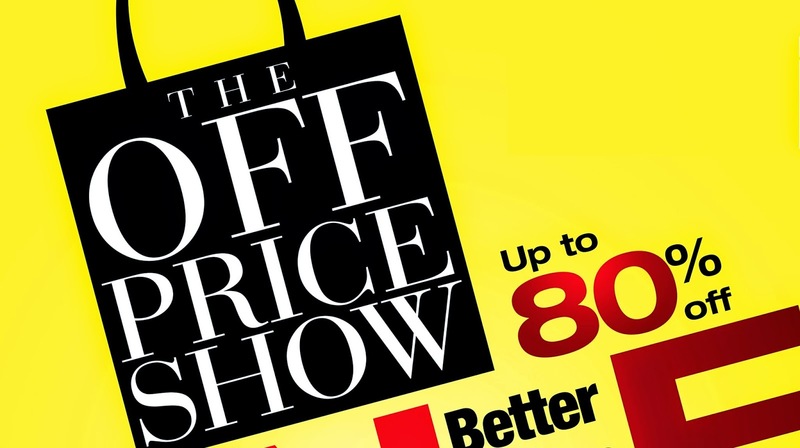 The Off Price Show is here! Just in time for the holiday season, shop for your holiday wardrobe and gifts at the country's biggest fashion brand sale. Here you can get good discounts on international premium brands. With over 80% worth of discounts on selected items, you can't go wrong with this. Apparel and footwear brands like Bershka, Pull & Bear, H&M, Jockey, Barbie, Elle, Chicco, Hotwheels, Puma, Reebok, Diadora, Umbro, Happy Feet, Melissa, Skechers, VNC, Palladium, Sugarfree, LRG, Chocolate, Rockport and many more. Gadgets and Lifestyle: Pacsafe, Cross, Satchmi, Ekotek, Golla, Blaupunkt, Divoom, Max XL, OtterBox, MiLi, Hellolulu, Franklin Covey and a lot more. Cosmetics and Eyewear: Revlon, Rimmel, Wet ‘n Wild, Maybelline, L’oreal, Fendi, Celine, Juicy Couture, Kate Spade, Tommy Hilfiger, Vonzipper, Safilo and more. Perfumes: Lacoste: Ralph Lauren, Clinique, Bulgari, Aspen, Burberry, Calvin Klein, Davidoff, Dolce & Gabbana, Elizabeth Arden, Giorgio Armani, Hugo Boss, Kenneth Cole, Kenzo, Lanvin, Perry Ellis, Salvatore Ferragamo, United Colors of Benetton and much more. 1. 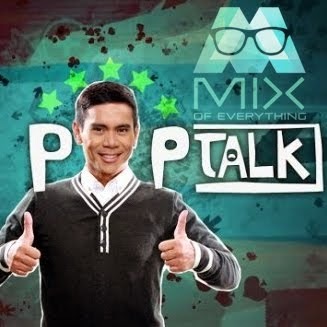 Like the mixofeverything.net FB page here. 3. Share also to twitter and tag @ThOffPriceShow and @mixofeverything or on Instagra, @the_offprice_show and @mixofeverything. If you want more photos of past Off Price Show, Check out previous posts below.